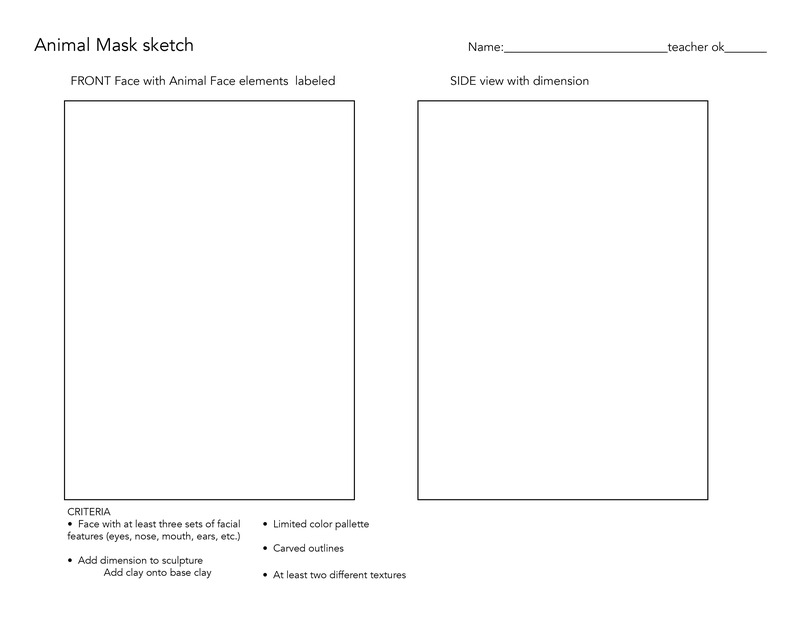 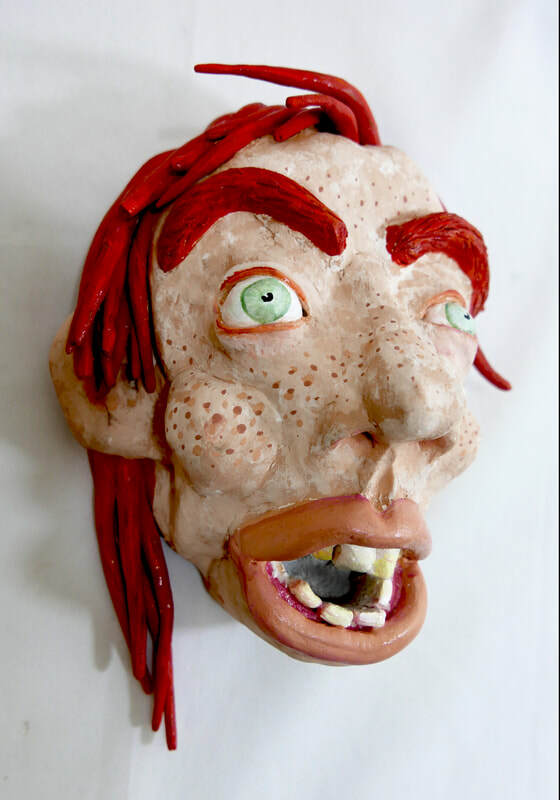 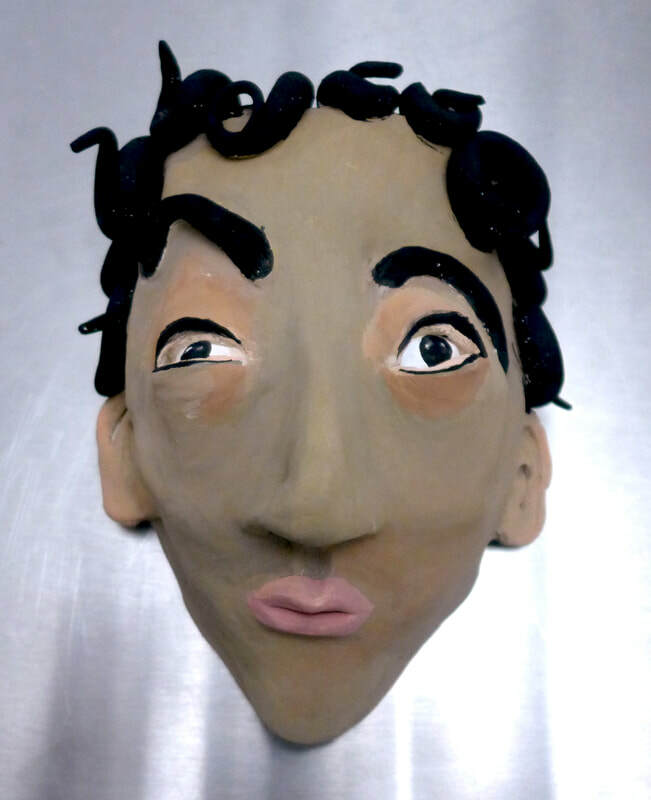 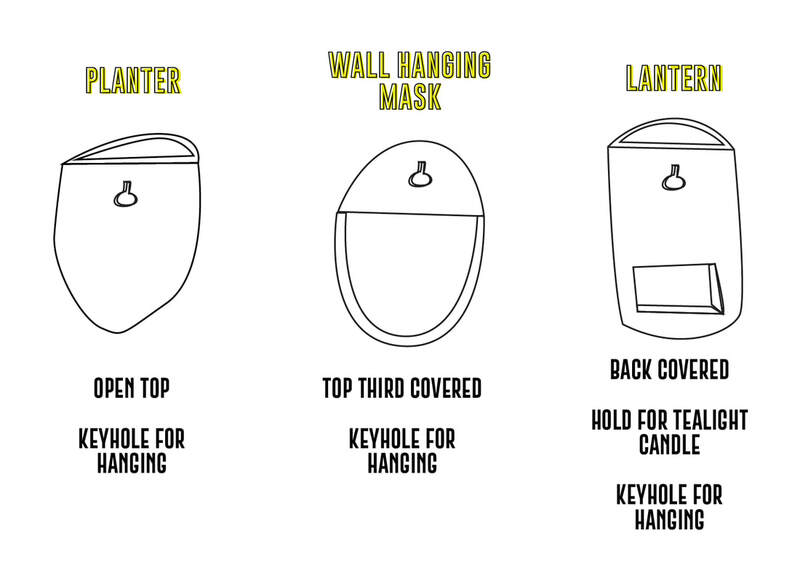 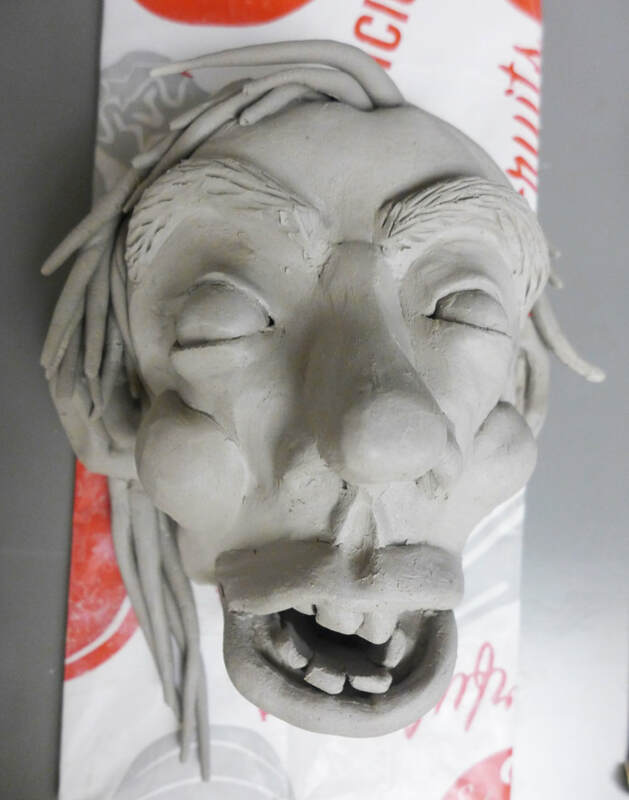 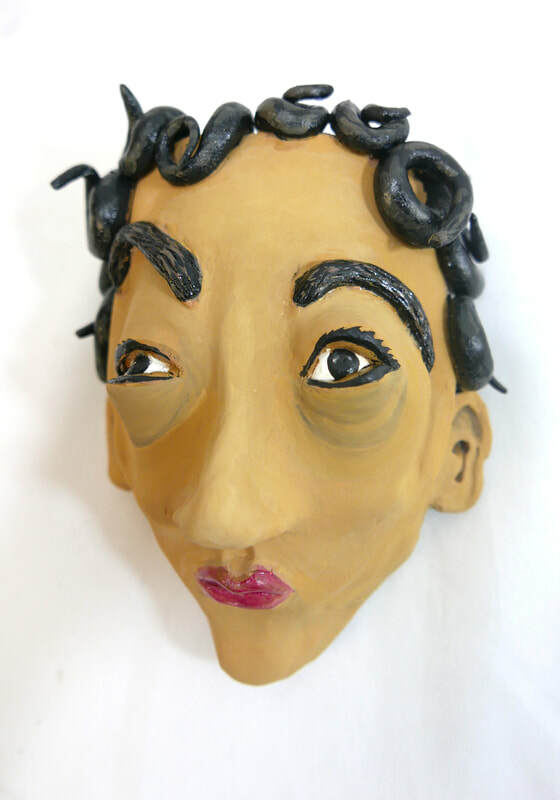 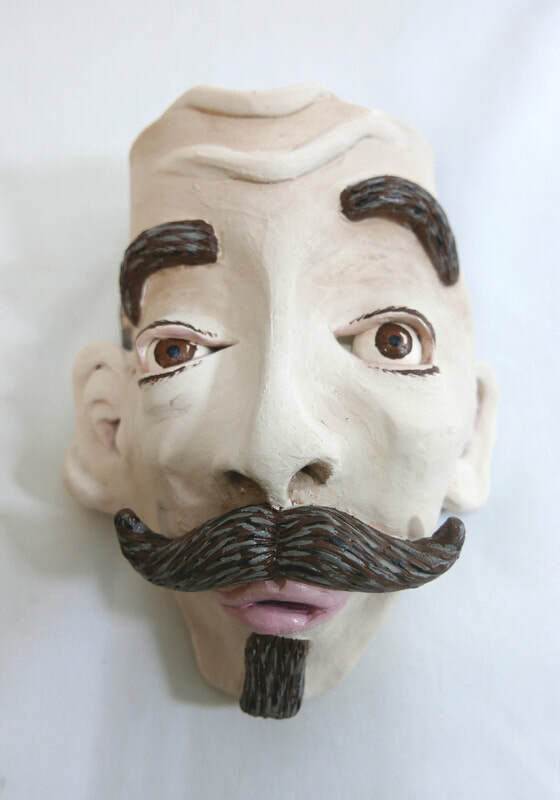 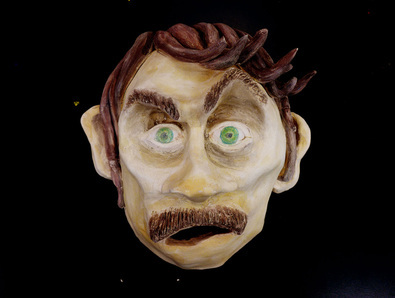 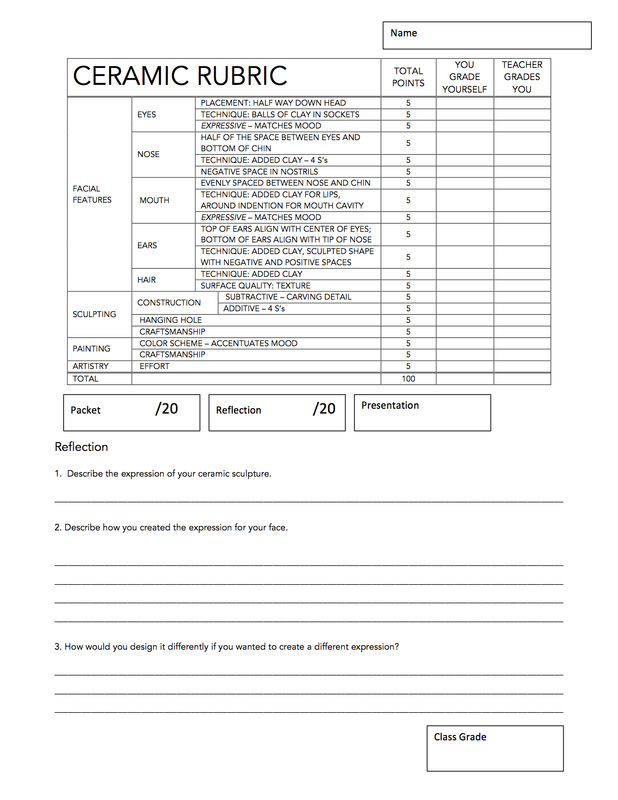 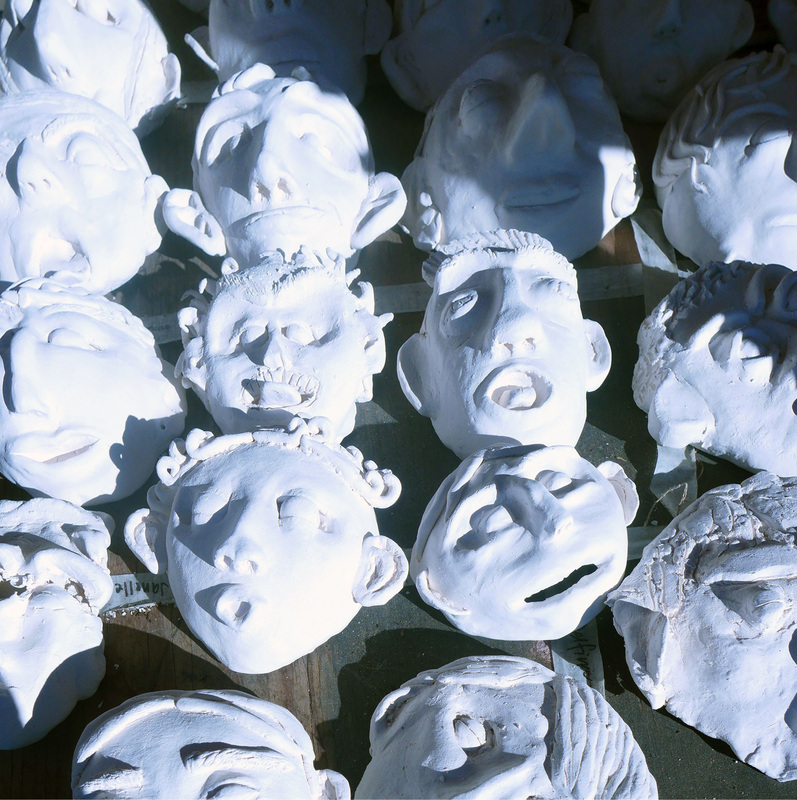 This project involves students creating hand-built ceramic masks with an exaggerated facial expression. 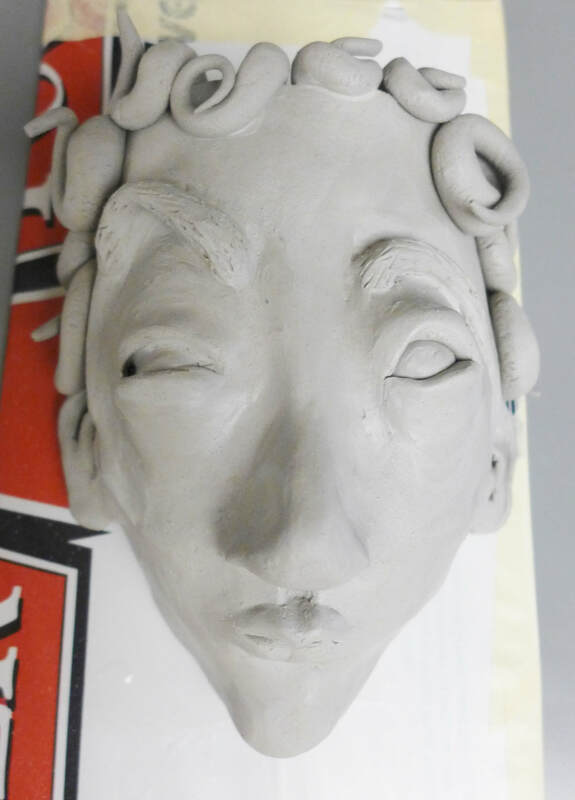 Students will learn ceramic building techniques: wedging, attaching clay with the four s's, slab, coil, pinch, as well as, focusing on surface quality. 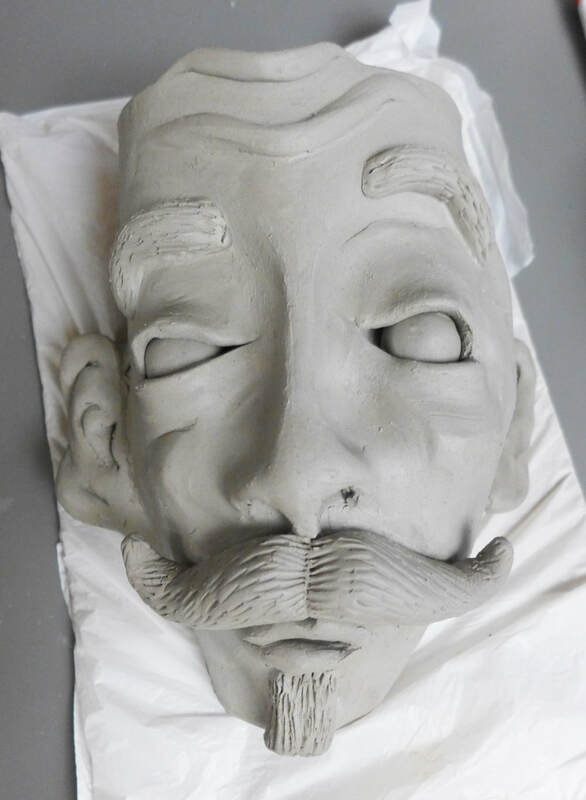 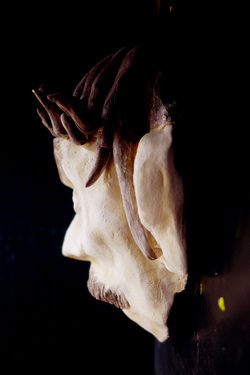 After sculpting the mask face, the clay is fired in a kiln. 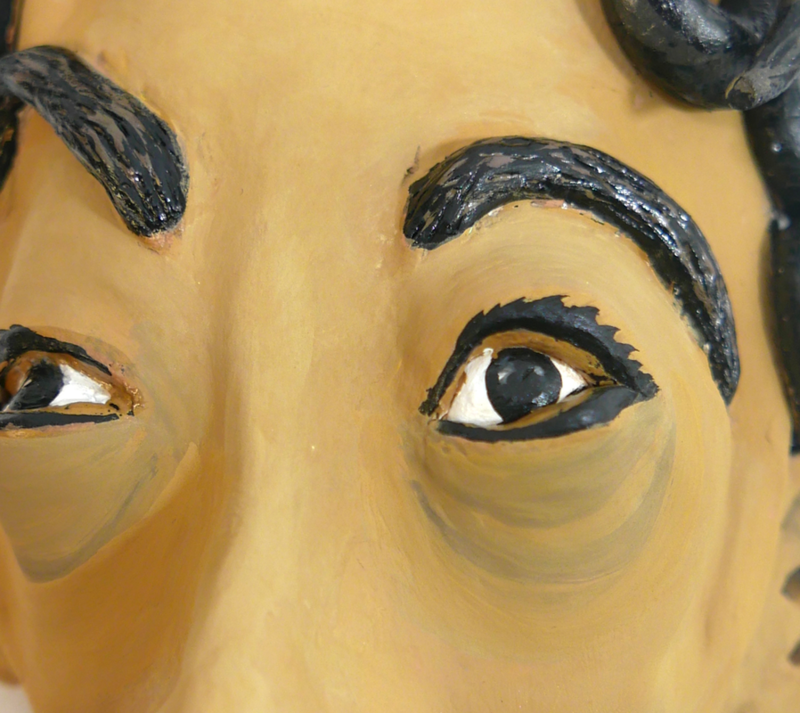 Students will use tempera paint to bring their face to life. 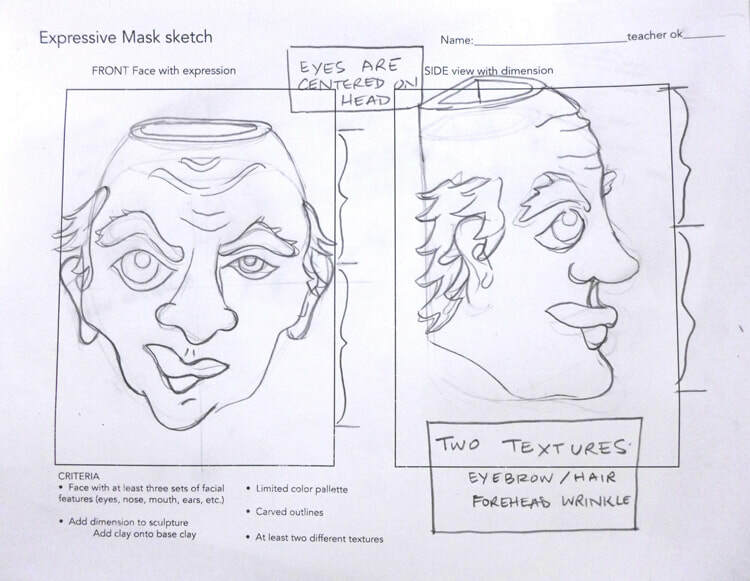 Using tints and shades of a hue for texture and color depth will be discussed. 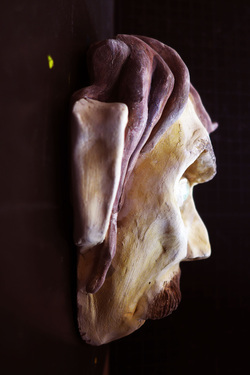 Underpainting adds dimension to your finished sculpture.